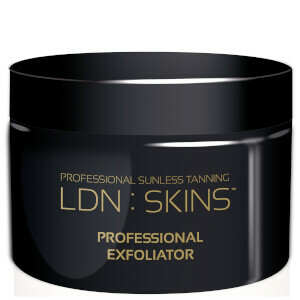 Discover the range of self-tanning solutions from LDN: SKINS here at Mankind. Created by Monu skincare, LDN: SKINS is a self-tanning brand offering tanning products for a sunless glow. Great for adding colour to your skin during the autumn and winter seasons, it helps to maintain a tanned look throughout the year. It also works well to top up and enhance existing tans. The LDN: SKINS Gradual Tan Lotion is designed to create a subtle, sun kissed glow, encouraging a gradual tan. Nourishing and hydrating, this fragrant moisturiser contains aloe vera, beeswax and avocado oil, providing long lasting moisture. It’s also packed with vitamin rich seaweed, melon and English lavender extracts for additional skin conditioning and nourishment. You can use it to either start creating a tan from scratch or to enhance and deepen an existing one.